Stars of HOPE® is a universal language for hope and healing. 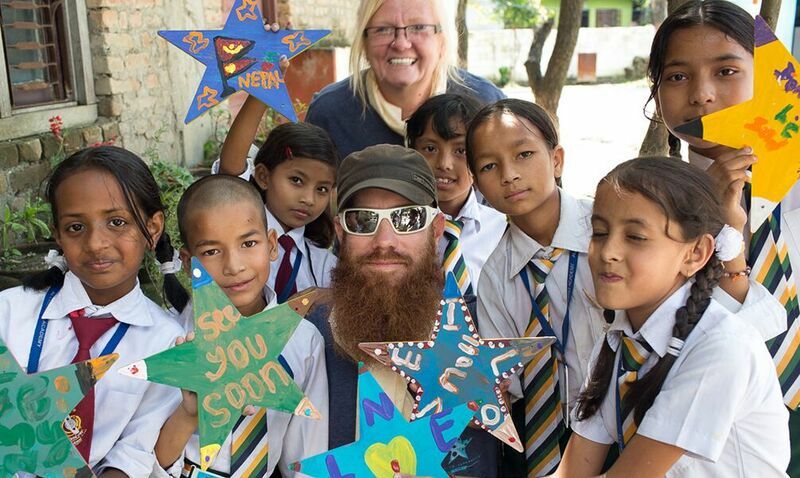 Stars of HOPE® volunteers had the privilege of painting with children at the Alchemist Academy in Kathmandu, Nepal These students had survived the deadly earthquake which took the lives of 8,000 men, women and children. It was a true blessing to travel to the farthest reaches of the planet to be with children in need of hope and help lift their spirits through this special healing project. Stars of HOPE volunteers helped to build classrooms in the memory of Annie Nelson at the Deepmala School. Stars of HOPE were also created by children at K&J Orphanage.